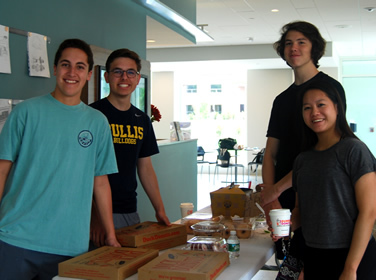 On Saturday, May 12, from 9-11, the Upper School club, Educate Girls Globally (EGG), hosted a "Global STEM Adventure" for Bullis LS students and their friends from the wider community in the Discovery Center. 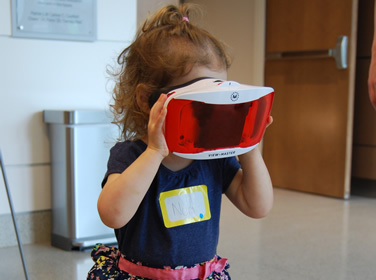 Students engaged in hands-on activities to explore global education and STEM, including a Bollywood dance workshop, using Virtual Reality headsets to explore far-off places, hypothesizing and testing chemical reactions to "explode" plastic eggs, working together to build structures out of spaghetti and marshmallows, making their own personalized stickers in the BIT Lab (Bullis Innovation and Technology Lab) and many more! Educate Girls Globally (EGG) is an international organization that assists government ministries of education to reform schools by empowering girls to learn and to lead. At Bullis, our chapter supports girls in northern India to re-enroll in school, after having previously dropped out due to various circumstances. We support them staying in school through pen pal relationships and by providing educational resources and material support.